This business process outsourcing (BPO) uses independent contractors to work as tech support and customer service agents. Compensation is on a per-minute basis that with incentives caps at no more than$10/hour but there is no minimum wage. Formerly known as West at Home, this company's customer service agents are employees who handle billing, sales or troubleshooting calls for the company's clients. They are paid on a per-minute rate, per-call or minimum wage. Training is paid. Some bilingual jobs are available. May not hire in all counties in the state. Search "work from home" in Amazon's job database for these part-time and full-time employment positions. Jobs pay $10-12/hour, and many are seasonal. Apple At-Home is a work-at-home call center program from Apple that hires both college students and non-students for full- and part-time positions. It is part of the company's AppleCare support department. Use the keyword "home" in the company’s job database. Recruits from Wichita. This company's home-based employees work in customer service, sales and business telemarketing as well as insurance auditors and LPNs and RNs doing telehealth work. 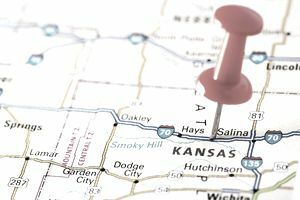 While it hires in all U.S. states, that doesn't mean it is always recruiting in Kansas. Provider of voice, broadband and video services for consumers and businesses have work-at-home call center jobs that pay around $10-11/per hour. Bilingual agents are encouraged to apply. Search job database using "work at home." Virtual call center agents receive incoming calls and provide services that may include customer service, sales or technical support. The company offers paid training and benefits. Company hires independent contractors, including licensed insurance agents, for a variety of call center jobs for its clients including outbound sales, bilingual customer service (Spanish and French) and financial services. Agents are paid at a rate that is based on minutes of talk time plus sales incentives in some cases. Agents must become "certified" to work for individual clients. This certification is not paid, and applicants have to pay around $50 for a background check. Home-based agents take inbound customer service, and sales calls for various clients. Reps are paid an hourly rate of around $9, and training is paid. Only after a position is offered, applicants pay $45 for a background check. The hiring process for these call center jobs is online and by phone. It includes a pre-interview screening with a technical skills test, voice audition, and phone interview. Requires a minimum commitment of 20 hours per week with up to full-time available, Bilingual skills a plus; languages include Spanish, Mandarin, and Cantonese. Virtual call center hires work-at-home technicians to assist with Internet services, desktop support, and security issues and customer service. Independent contract call center agents work from home to make verification calls for company's clients, which are primarily from the newspaper industry.